If you ever wanted to travel to Scotland and see the country, you will find pretty interesting things there. Scots are known to be very nice and full of hospitality. The most interesting thing that you can see and try is the food of Scotland. They have rather strange and yet very tasty treats and dishes. Haggis is the traditional dish in Scotland, and it is known to be quite delicious. The thing about haggis is that it is very tasty and is full of calories. When you combine that with chips or mashed potatoes, you will have a dish that will keep you busy all day. Keep in mind that this is not a good option if you want to lose weight or if you are on a diet. Haggis is an iconic dish of Scotland, and you should try this one. We know you will love it. The most famous drink is certainly scotch whiskey. Old Scotch is the Scotland’s number one drink. Keep in mind that whiskeys and scotches you buy in your stores are nowhere near those true whiskeys that are made in Scotland. For you to drink a glass of the finest scotch, you will have to pay a large amount of money. The industrial variation of whiskey and scotch is nothing more than chemistry. If you want the real taste, you will need to pay a large amount of money for a good bottle. And the interesting thing is that it is drunk from the glasses that are similar in shape to the vine glasses. So as you can see, we have been drinking the product that isn’t the product we thought it was. This is a good chance to try the original whiskey that is made with the original recipe. 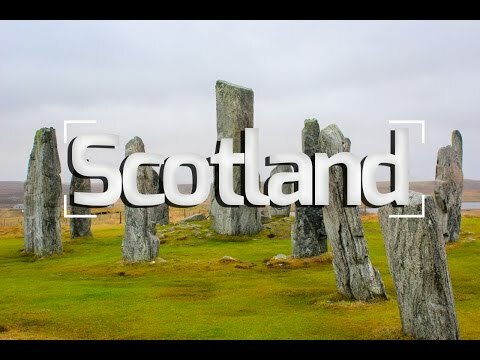 If you want to visit Scotland and try something new, then this is a great chance for you. Scotland offers beautiful mountains and landscapes that will take your breath away. If you want to visit a place that is considered a real little heaven, you should visit Barra islands. These islands are known for their nice landscapes and beautiful beaches. The most important thing is that you can have a wonderful time even when it is raining or cloudy. We can’t describe that feeling with words. You will need to come to the island and see it for yourself.